I’ve had the day off today so I figured I’d have lots of opportunities to find a dog! 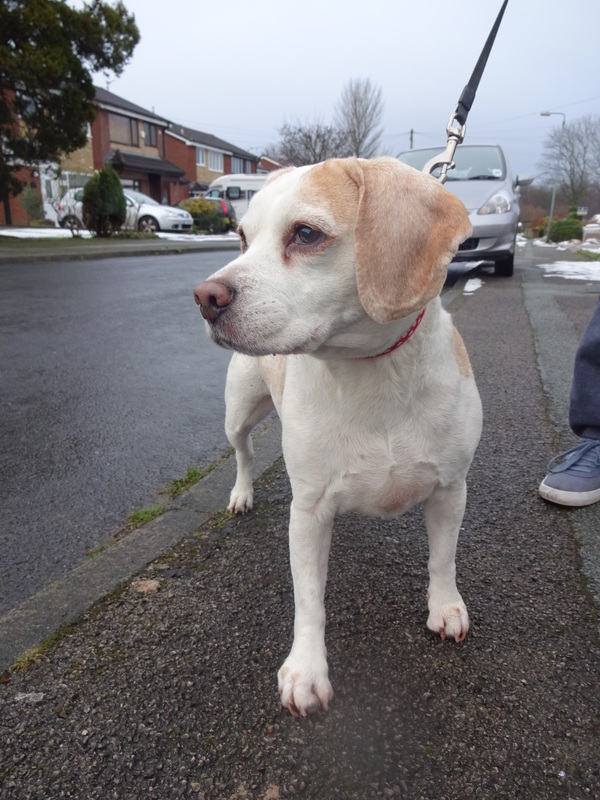 I went to my parents house and only had to wait for 30 minutes before a dog walked past, my mum got very excited when she noticed the very pretty Beagle Tilly! What a lovely friendly girl Tilly is! Her owner told me that she’s cheeky too! They’ve had to have child locks put on all of the Kitchen cupboards, even the high up ones because she would break into them! Favorite food: Anything! She also stole a box of chocolates at Christmas! She spent the whole day being sick, poor girl! Stay away from chocolate dogs, it’s not good for you! Favorite pastime: Sleeping and going for walks!